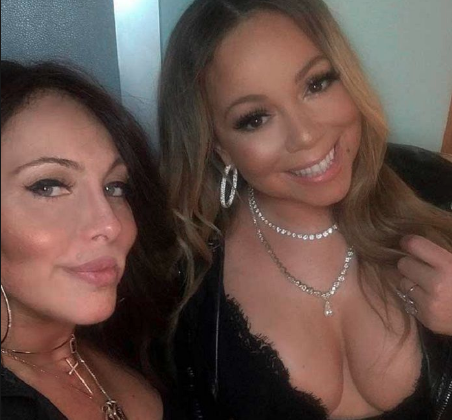 Earlier this year there were rumors that Mariah Carey's manager Stella Bulochnikov was isolating Mariah from her close friends and business associates [click here if you missed that]. Thank GAWD!!!! Now Mimi, take a break, detox, work on your vocals, see if you can get anyone from your old team back and come out stronger than ever!!! You can do it!!! @6:44 Amen!!! That woman had her doing reality tv. Relax and enjoy life. So Mariah finally realized that Stella was allegedly stealing from her? Mimi needs to call a forensic accountant and close all her banks accounts/move her money NOW. Mimi has more than enough money to lose a few millions and not be bothered. She did get a lot of new projects that she wasn't doing before. You don’t stay wealthy allowing anyone to take any of your hard earned $$$$$. . I am sure Mimi is shrewd enough to have her business in order. @1:53 are you wealthy? No. So how do you know? About damn time she late that Transylvania vamp go.